Relemac Technologies has well-established itself over the last 20 years. We deal in a wide range of PTFE Cables that find application in several commercial as well as residential set ups. We opened in 1993 and we are now known worldwide as a provider of the highest quality cables as well as for our design and manufacturing ethos. We are one of the largest manufacturers of many different types of wiring and cabling, and that includes our entire PTFE wire line right from PTFE Cables, PTFE Wires, Multi Core Cables and to High Temperature Power Cables. Below you will see the sub categories. These insulated equipment / hookup wires are most often used inside of other electrical components. These wires are uniquely suited to this type of application. They possess outstanding build specs, which gives them very high mechanical & electrical properties. One of the most important of these is being very resistant to heat; they are approved for temperatures of over 180?C, and down to -40?C. In addition to temperature stability, PTFE cables are highly resistant to chemical fumes and liquids that would render other cables useless in a short time. MIL-W-16878E/BS2G-210/JSS-51034 are available in custom configurations, either stranded or bunched jacketed or unjacketed conductors with metal shielding. 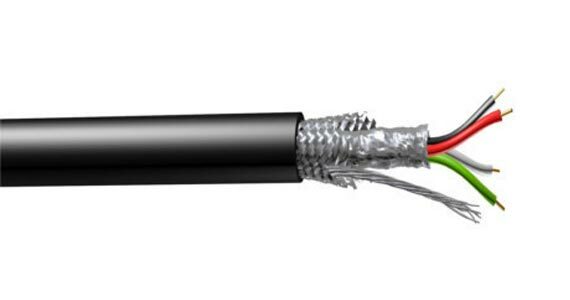 At short distances, twisted Multi Core or multi-pair unshielded cables can be used. These are most often used as a connecting link between the central instrumentation modules and the various transducers that they control. High frequency speicifcations require the use of the best RF-Coax cables; Relemac Technologies is known for their outstanding cables in this area. RG cables meet or exceed American Military specifications standards MIL-C-17. These cables are made specifically for the transmission of signals in computer complexes as well as industrial electronics and maintenance applications, or any application where high frequency fidelity is needed. Our co-ax and triaxial PTFE cables have extremely high quality standards. PTFE electrical Sleevings can withstand temperatures between negative 65? C and 260? C. They are also resistant to flame, hydraulic fluids, chemicals, aircraft and rocket fuel. This resistance is not affected by altitude. Use this application where high voltage and high heat are combined;Screened & Jacketed from 5 KVAC to 22 KVAC (9 KVDC to 40 KVDC) working voltage in solid colours.Some standard sizes having specially formulated PTFE with Corona Resistant features, shows excellent results at high voltage.Additional Fiber glass outer Braiding also available. We are manufacturing PTFE Insulated Heating Wires. These heaters are Safe, Efficient and Long Life. These heating wires are being used in the following applications. ► Under Floor / Tile Heating. ► Flexible car seats heaters, carpet or blanket heating, Heating Mats. ► Temperature control for electronics display devices, obstruction/shadow-free, by using high strength fine conductor and thin wall insulation. ► Zone temperature control of distillation columns and heat tracer for pipes etc?. PTFE Insulated Heater wires find a large number of applications in process industries these are available in wire or coil form, for a fixed resistance value per meter. Various type of heating solutions for process heating upto 2000C can be designed with these heaters. Relemac make under floor heating cables are available in various wattage ratings, ranging from 150 Watts to 3000 Watts, with or without shield.These heating wires incorporate Alloy resistance wire capable of Long-life stability at the required temperature and are normally Multistrands PTFE Insulators over these resistance wires provide maximum insulation durability for long life and safe operation. These cables are designed to work with high current loads at high temperature environment conditions, such as wiring of furnace heaters, ovens and Industrial wiring under harsh working conditions. Conductors are made of fine multi-strand Bare/Silver Plated copper strands, PTFE insulated for 600 V / 1000 V working voltage grade, having suitable insulation thickness, which can bear the mechanical load of heavy conductor, overall fiber glass braided & silicone varnished to provide surface protection to inner dielectric for extra mechanical stability. It can be further braid armored with stainless steel wire or tin plated copper wire.Relemac Wires & Cables manufacture both Single & Multi-core power cables.Basic Cores are insulated with PTFE for 600 V working grade laid up and PTFE Jacketed overall fiber glass braided with silicone varnish or stainless steel braided for mechanical protection, the However combination of both FG and SS can also be given. These cables are manufactured with fine strands of pure electrolytic grade copper coated with PTFE wrapping & sintered, and they have an overall high heat resistant PVC coating, rated to 105?C (HR PVC). Premade cable harnesses and assemblies save a huge amount of time, and Relemac manufactures them from your specs with strict quality controls in place. When you order a harness or assembly from Relemac, you know it will fit. All specs are set to your technical needs, fitted with end connectors at the specified links with sealed Heat shrinkable sleeves. These ready-made harness and cabling assemblies can be installed easily, with no possibility of failure or mismatched components.